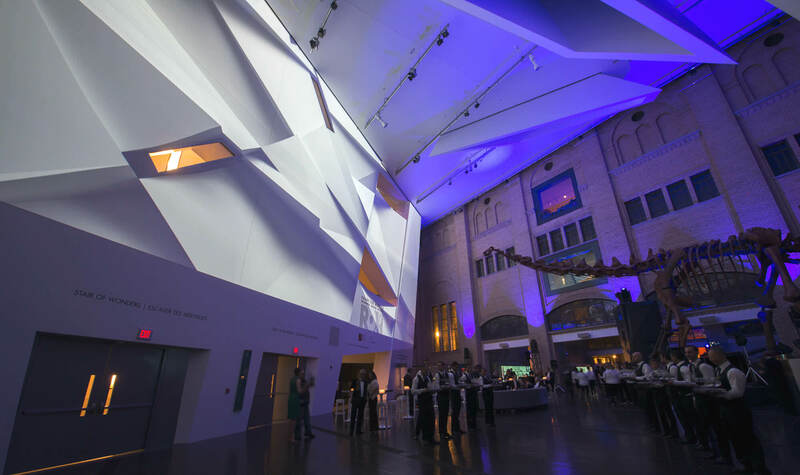 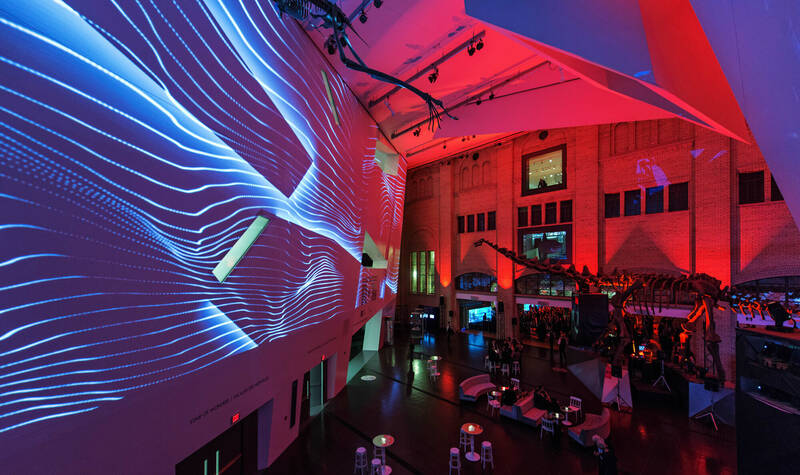 Art, architecture, and light came together within Moment Factory’s multimedia installation at the Royal Ontario Museum’s Centennial Ball. 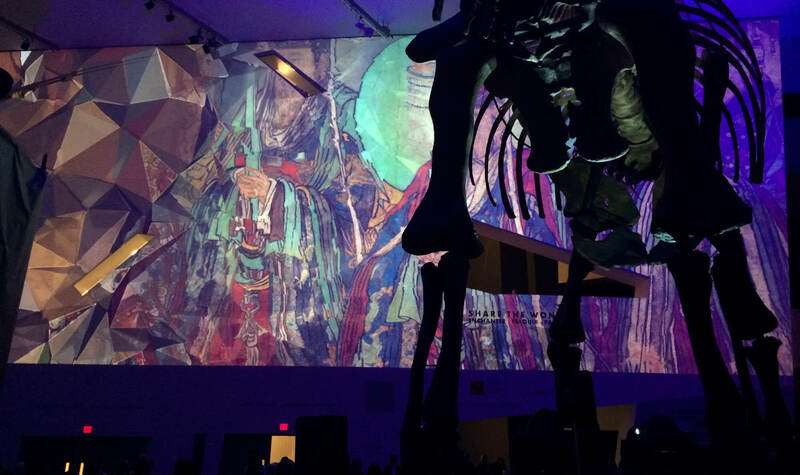 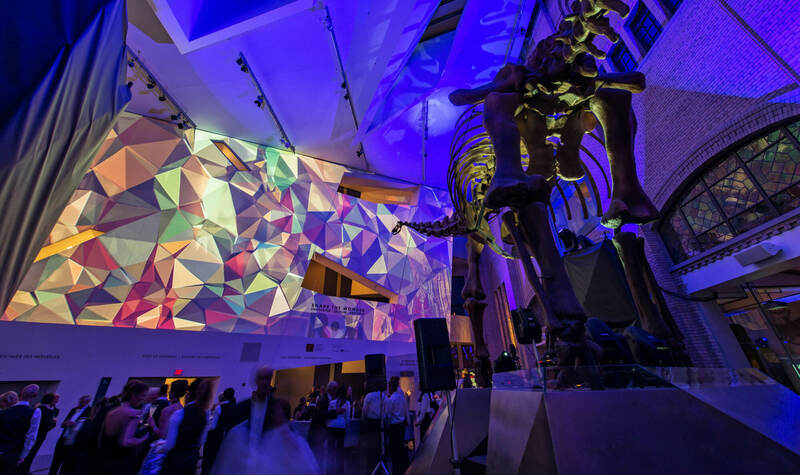 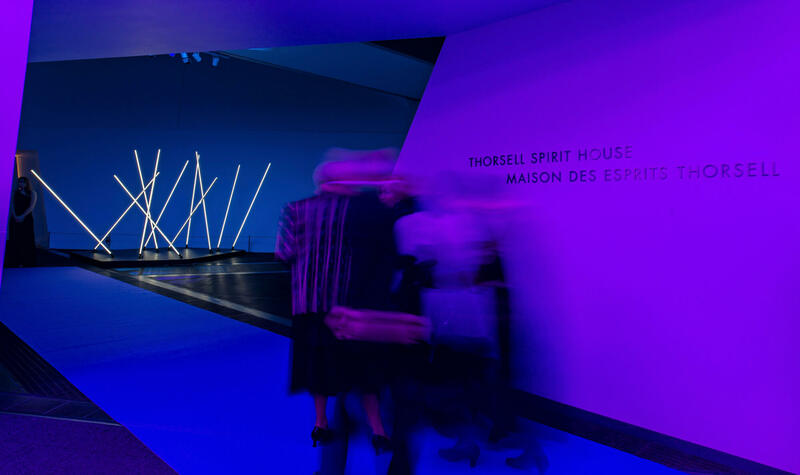 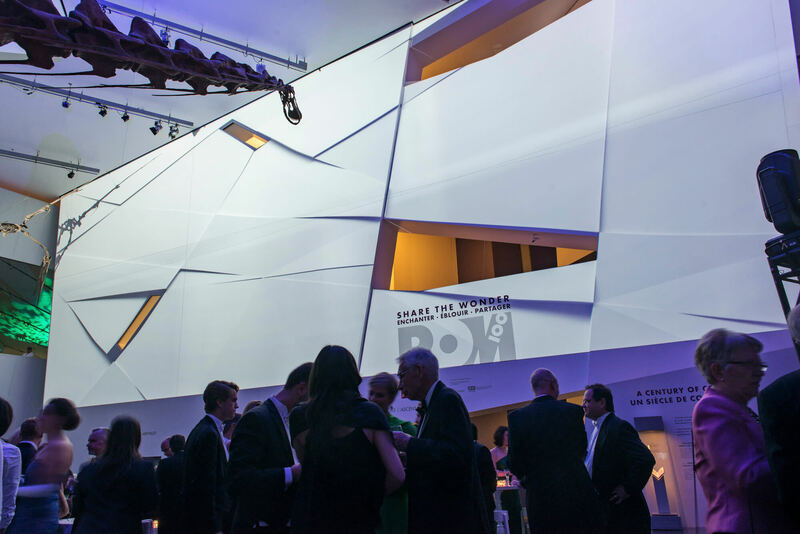 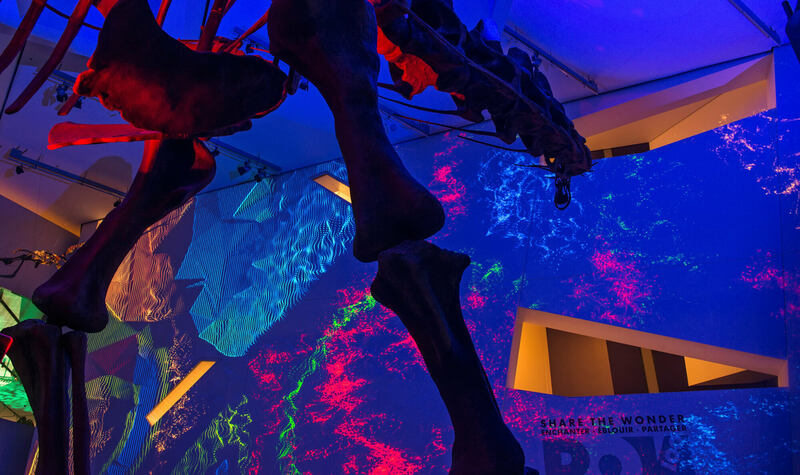 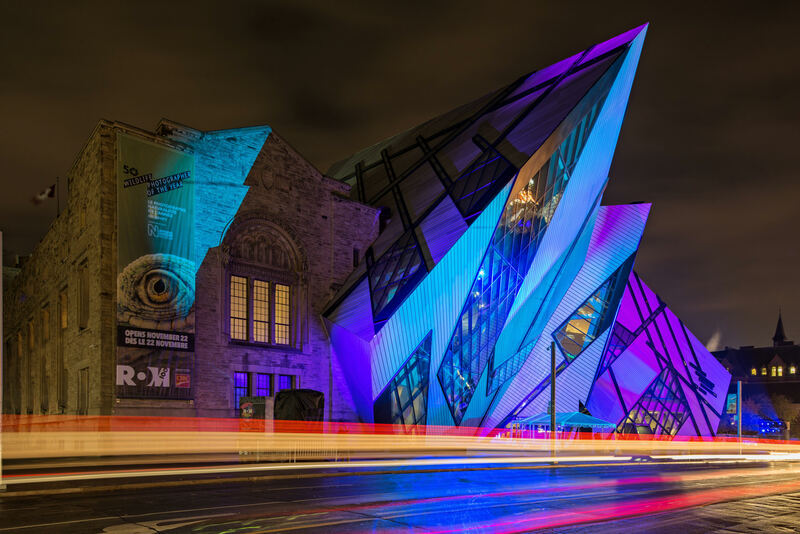 For this final event of its 2014 centennial celebrations, the ROM commissioned the Montreal-based new media studio to create and execute an immersive, one-night only experience that transformed the museum into a kaleidoscopic wonderland. 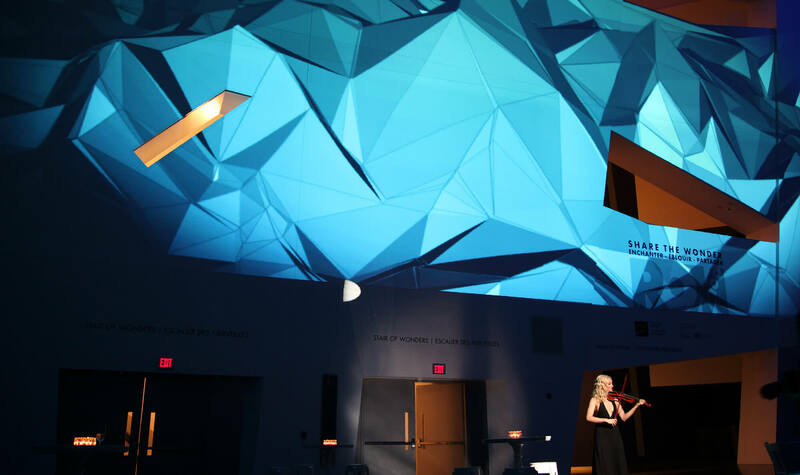 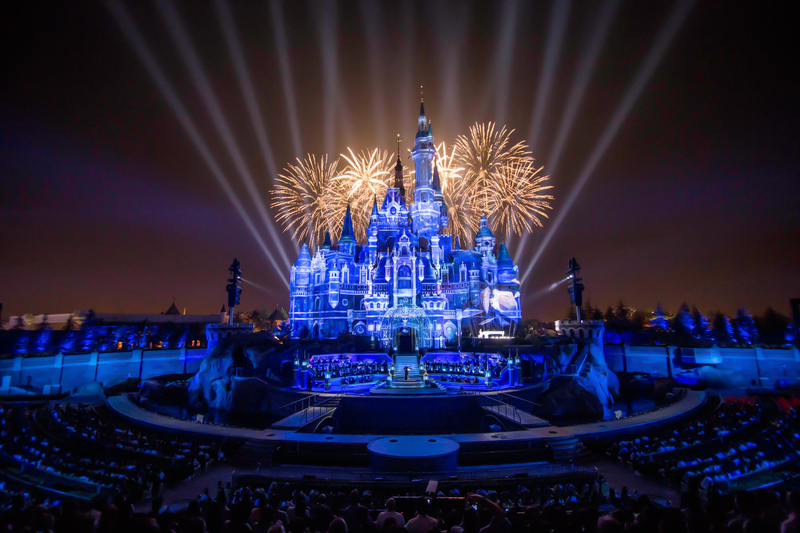 Highlights included an exterior light show, and inside, a generative art piece and audio-reactive visuals generated live by performing musicians. 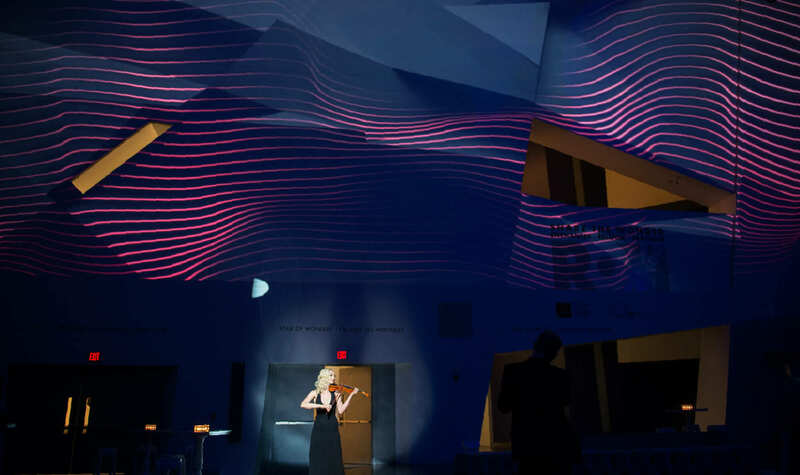 While two violinists, a DJ and a percussionist performed, their music stimulated beautiful imagery built on color, light, movement, and texture. 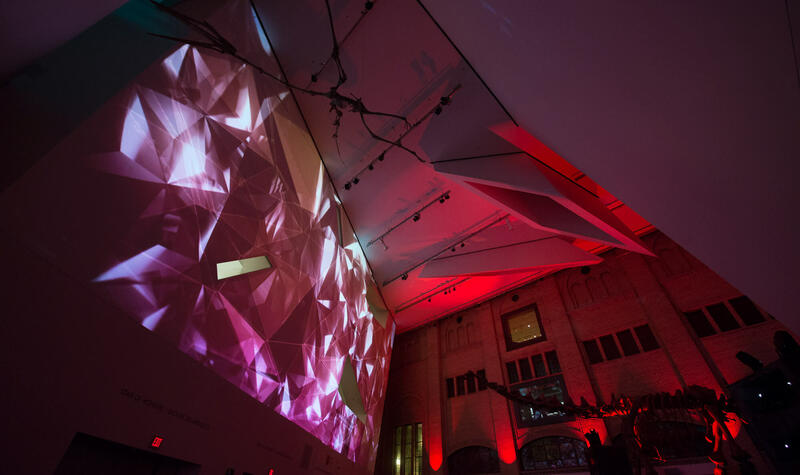 The real stars of the ball were the eight artifacts transformed by Moment Factory into a generative art piece projected onto a giant screen. 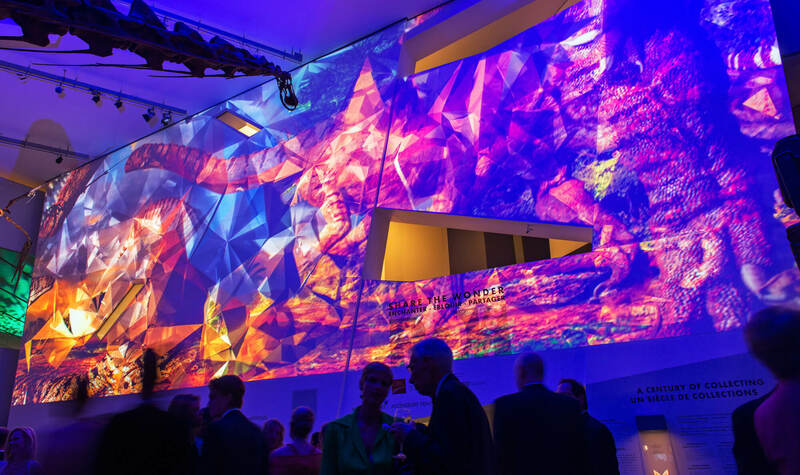 Moment Factory’s artists created high-quality video treatments that gave each artwork a new and ever-changing kaleidoscopic look, generated in real time and inspired by the building’s architecture.